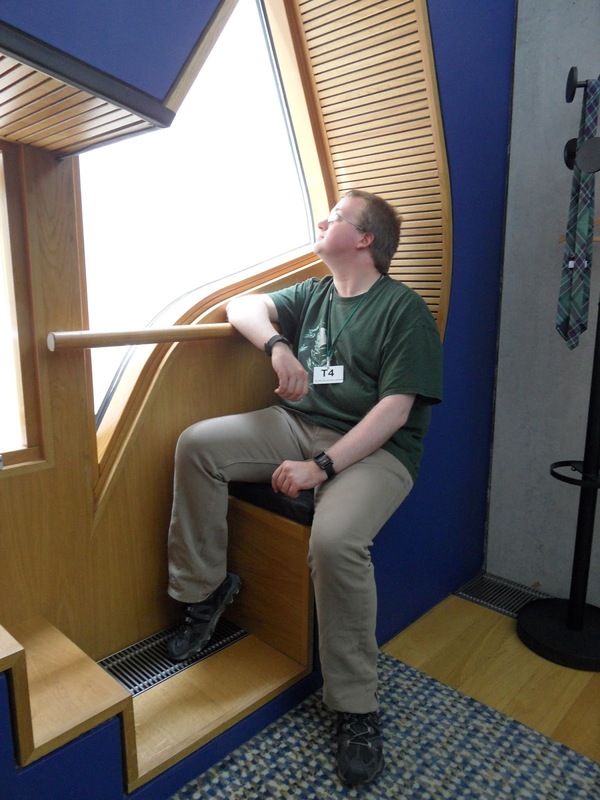 MSP's office in the Scottish Parliament. So, I finally managed to get out beyond Glasgow for the first time since I came back to Scotland. My parents were going to visit family in Livingston, so I accompanied them out as far as Edinburgh, with a quick visit to the Scottish Parliament thrown in (great free tours - you probably need to book in advance, we were extremely lucky and got in on some cancelled spaces), before heading on down the new Borders Railway to visit Tweedbank and Galashiels - a whole corner of the country I've basically never seen before! 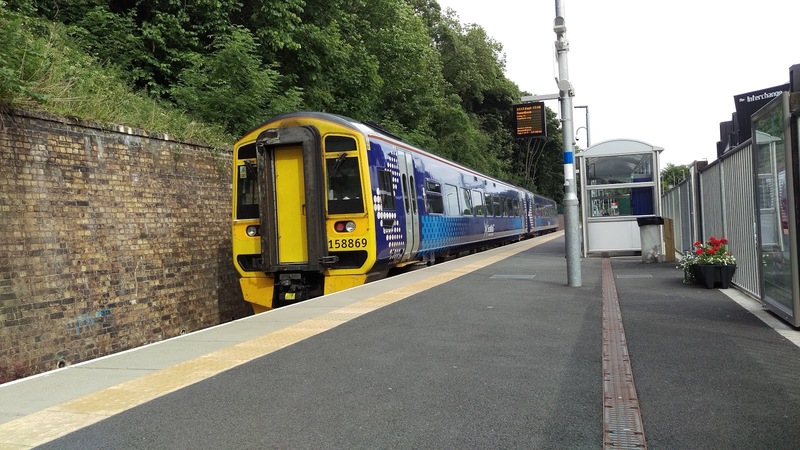 Class 158s sitting at Tweedbank station. 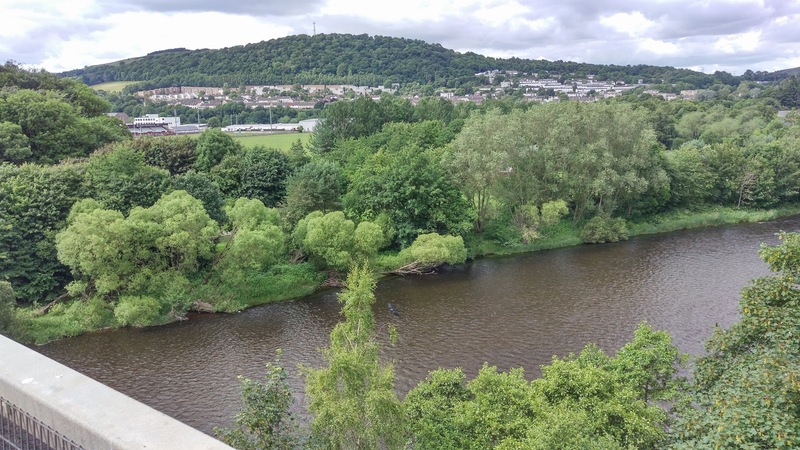 The Borders Railway opened in September 2015, re-establishing the northern half of the former 'Waverley Route' that was lost to the Beeching Cuts in the 1960s. 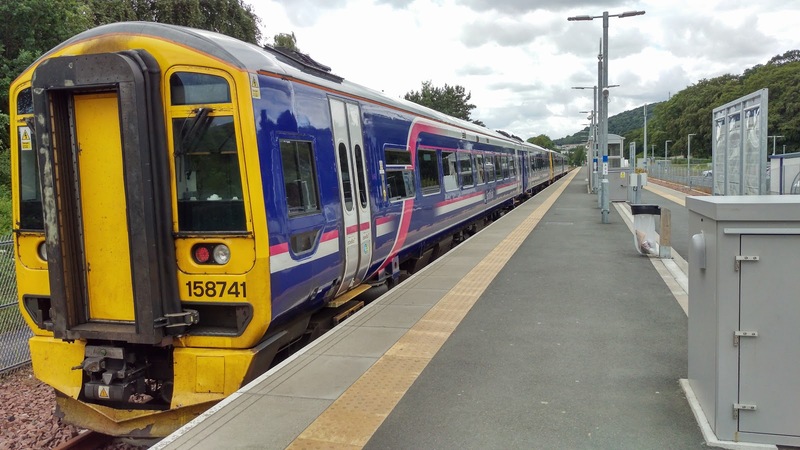 It extends from the former 'Edinburgh Crossrail' line that had served Brunstane and Newcraighall, on through Midlothian, and as far as the town of Galashiels, and its suburb of Tweedbank, in the Scottish Borders, an area that since those Beeching Cuts had had no railway service whatsoever and had had to rely on often slow bus connections to Edinburgh, Berwick-upon-Tweed, or Carlisle. I took a train from Edinburgh Waverley right down to the terminus of the line at Tweedbank. 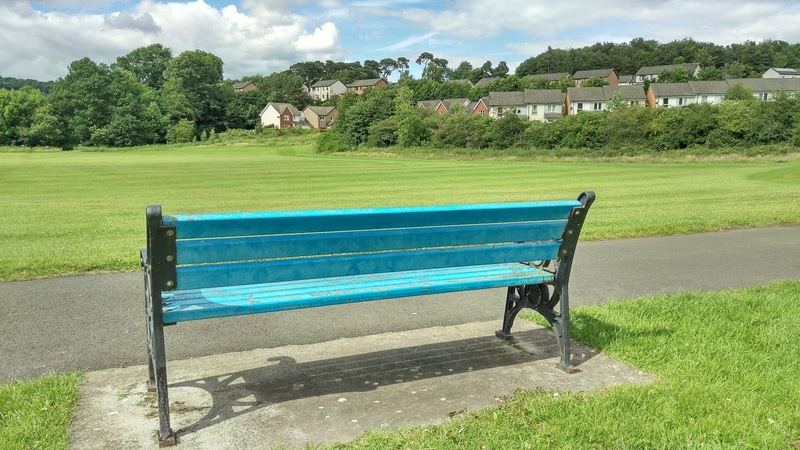 Tweedbank is essentially a suburb of Galashiels, on the other side of the River Tweed from the main part of the town. With a bus stop for long distance services, and a huge park-and-ride car park, I'm guessing the main reason for extending the line to this point was just to provide a railhead for further south in the Borders, as there's really very little here. let's go pillage some books from England? After the bridge, the main road continues into Galashiels proper. The town's outskirts are fairly unattractive and dull, though the old town centre has some fairly interesting features. 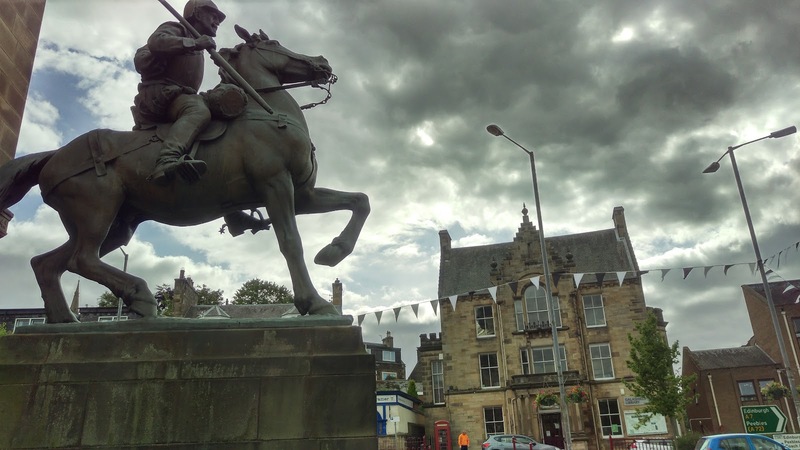 The main sort of town square has this imposing statue dedicated to the 'border reivers' - essentially Scottish militiamen who pillaged the north of England in waves from the thirteenth century until the seventeenth century. The statue is situated just outside the town hall, overlooking the square, and opposite the rather grand looking library. Heading through to the other side of the town centre, you eventually come back to the train line, sitting in a very confined space between a main road and a small cliff. They've built a very attractive and modern-looking bus station directly outside the station, but there's no apparent space for parking or anything, which again seems to bring up why they bothered to extend the line on to Tweedbank instead of ending it here. Buses can connect you to most of the Borders from here - most interestingly I spotted an open-topped single decker sitting here that apparently offers tours of the Borders, something I might need to go back for another trip to try out, because who doesn't love an open-topped bus? Overall, I think the new railway is wonderful. The scenery is great (I was so entranced watching it that I forgot to take any photos, unfortunately...), and it opens up the whole southeastern part of Scotland that for a long time was really difficult to access by public transport. 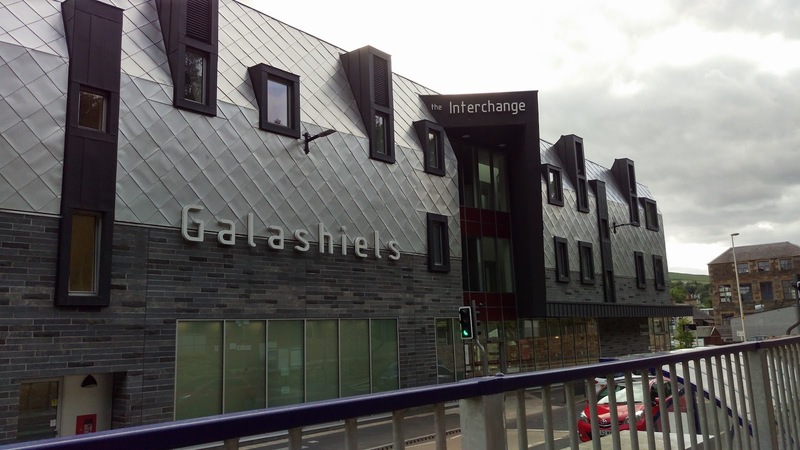 Galashiels itself isn't a particularly exciting destination, but offers a good transport hub to get deeper into the Borders, so no doubt I'll be back here to pass through. Another notable visitor destination is the National Mining Museum, just a short walk from the station at Newtongrange - that's definitely getting a visit at some point. If you wish to use photos from here for your own web projects, I have no problem with that as long as you credit me and link back to this page. Let me know if you find little travelogue pieces like this interesting (or not...) as I'm aiming to get out and visit some new part of Scotland on at least a monthly basis or so going forward. If these get popular, I might spin them out into a separate blog, but for the time being they'll just be going up here.